We are committed to creating and maintaining housing that is affordable to our workforce and our low and moderate income residents, families and seniors. The number of affordable housing units in San Rafael is evidence of the our commitment to providing housing opportunities to all income levels. One of the our main affordable housing programs continues to be the Below Market Rate or “BMR” program, which is stipulated by General Plan Policy H-19, first adopted in 1986. General Plan 2020 increased the number of housing developments subject to H-19 and increased the number of affordable units required. New housing developments are now required to provide between 10%-20% of the total units affordable to very low, low and moderate-income persons. BMR units are required in both rental and ownership developments. There are exemptions for 1-4 unit developments and single-family homes under 1,800 square feet. The Below Market Rate ownership housing program is administered by Marin Housing Authority with assistance and policy direction from our staff. Since the inception of the program, over 150 households have been assisted with first time home purchases at affordable prices. San Rafael has 111 affordable ownership homes. All of the units have long term Resale Restriction that restrict the sales price to keep the unit affordable to low and moderate income buyers. Additional information on the affordable ownership housing program including the application and program rules can be found on the Home Ownership page of the Marin Housing site or at (415) 491-2550. Many low income households are unable to enjoy the advantages of homeownership due to financial constraints. These families often pay monthly rent that exceeds the monthly cost for a BMR unit. Marin Housing Authority ("MHA") has Federal programs to assist low income households with home ownership, including the mortgage credit certificate program. MHA has been able to provide every eligible BMR buyer with a mortgage credit certificate for over 10 years. Additional information on these programs can be found on the Home Ownership page of the Marin Housing site or at (415) 491-2550. We have ensured long-term affordability in 1,315 housing units. 92% (1,204) of these are rental units and 8% (111) are ownership. Our affordable units are disbursed throughout the City with 50% in Downtown, 12% in East San Rafael, and 38% in North San Rafael. Marin Housing Authority administers the BMR rental program. Thirty properties are required to provide tenant income and rent certifications to Marin Housing Authority annually. Marin Housing provides annual notification to the property owners regarding the allowable rent levels after HUD publishes the new County median income figures. More information on the affordable rental program including a list of private apartments with affordable units and the maximum allowable rents for those units can be found in our 2017 Affordable Housing Rent Schedule. Our staff works with the County Federal Grants division to allocate housing funds in the San Rafael Planning Area pursuant to a cooperative agreement. CDBG and HOME funds are allocated on a specific funding cycle, with applications due in December for funding in the following July. 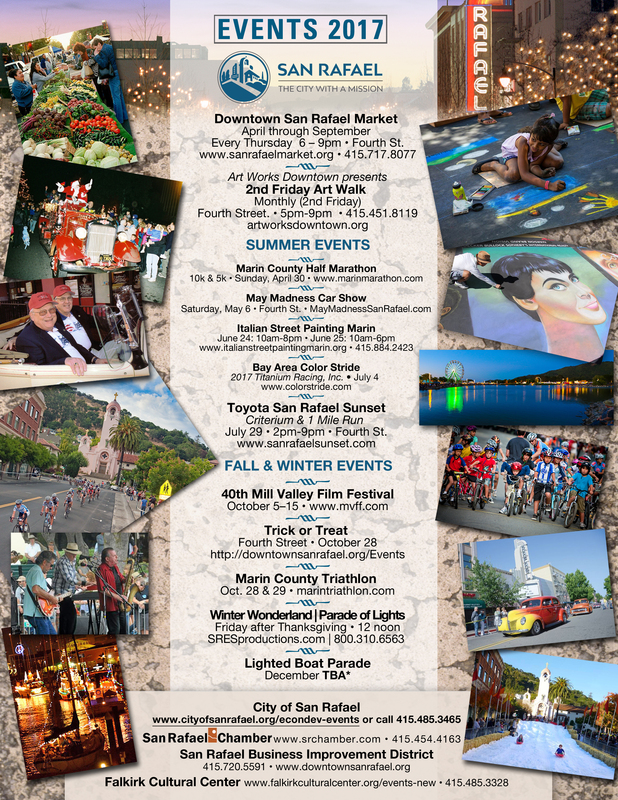 Additional information on these programs is available at County of Marin or (415) 499-6695. Low interest loans and grants are available to low income homeowners for rehabilitation and handicapped accessibility improvements. The program is administered by Marin Housing and is only available to single family homeowners. The majority of the loans are made to low income seniors. We do not provide direct housing financial or referral support services. These services are provided by the Marin County Health and Human Services Division, Marin Housing and local non-profit groups. We provide predevelopment technical assistance on many of the sites that have major issues or site development costs that can preclude housing development and/or redevelopment. Check out Marin Housing for more information on the BMR ownership and rental programs, as well as our handout General Affordable Housing Information. We require all new developments, residential and non-residential, contribute towards the provision of affordable housing. The majority of the requirements are contained in Section 14.16.030 of the Zoning Ordinance of the San Rafael Municipal Code. The Zoning Ordinance can be viewed at Municipal Codes, at the Community Development Department, the City Clerk's Office, or the San Rafael Public Library. Check out our affordable housing requirements. The major housing site currently available for development is 1203 Lincoln Avenue. We do not provide direct assistance to individuals or families. If you are in need of individual assistance, please call the United Way toll-free at 1-800-273-6222 or Marin Housing Assistline at (415) 491-2345.